American film star Betty Grable (1916-1973) was known as ‘The Girl With the Million Dollar Legs’. During World War II, the quicksilver blonde’s famous pin-up pose – in bathing suit, back to the camera, smiling over her right shoulder – adorned barracks all around the world. Her 42 films during the 1930s, 1940s and 1950s grossed more than $100 million. One of her biggest successes was the comedy How to Marry a Millionaire (1953), which was also one of her last films. Elizabeth Ruth Grable was born in 1916 in St. Louis, Missouri, to Lillian Rose (Hofmann) and John Charles Grable, a stockbroker. Her stubborn and materialistic mother was determined to make her daughter a star. Betty was enrolled in Clark’s Dancing School at the age of three. With her mother’s guidance, Betty studied ballet and tap dancing. At age 13, Betty and her mother set out for Hollywood with the hopes of stardom. Lillian lied about her daughter’s age, and Betty landed several minor parts in films, such as Whoopee! (Thornton Freeland, 1930). In 1932, she signed with RKO Radio Pictures. The bit parts continued for the next three years. Betty finally landed a substantial part in By Your Leave (Lloyd Corrigan, 1934). One of her big roles was in College Swing (Raoul Walsh, 1938). Unfortunately, the public did not seem to take notice, and Grable was beginning to think she was a failure. The next year, she married former child star Jackie Coogan, with whom she had starred in Million Dollar Legs (Nick Grinde, 1939). His success boosted hers, but they divorced in 1940. When Betty Grable landed the role of Glenda Crawford in Down Argentine Way (Irving Cummings, 1940), the public finally took notice of this shining bright star. Stardom came through musicals and comedies such as Moon Over Miami (Walter Lang, 1941), and Coney Island (Walter Lang, 1943). The public was enchanted with Betty. Her famous pin-up pose during World War II adorned barracks all around the world and Betty became the highest-paid star in Hollywood. After the war, her star continued to rise. In 1947, she earned about $300,000 a year. Later, 20th Century-Fox insured her legs with Lloyds of London for a million dollars. Betty continued to be popular until the mid-1950s, when musicals went into a decline. A success was How to Marry a Millionaire (Jean Negulesco, 1953),, a romantic comedy about three models plotting to marry wealthy men, in which she co-starred with Marilyn Monroe and Lauren Bacall. Her last film was How to Be Very, Very Popular (Nunnally Johnson, 1955). She then concentrated on Broadway and nightclubs. In 1965, she divorced band leader Harry James, whom she had wed in 1943. 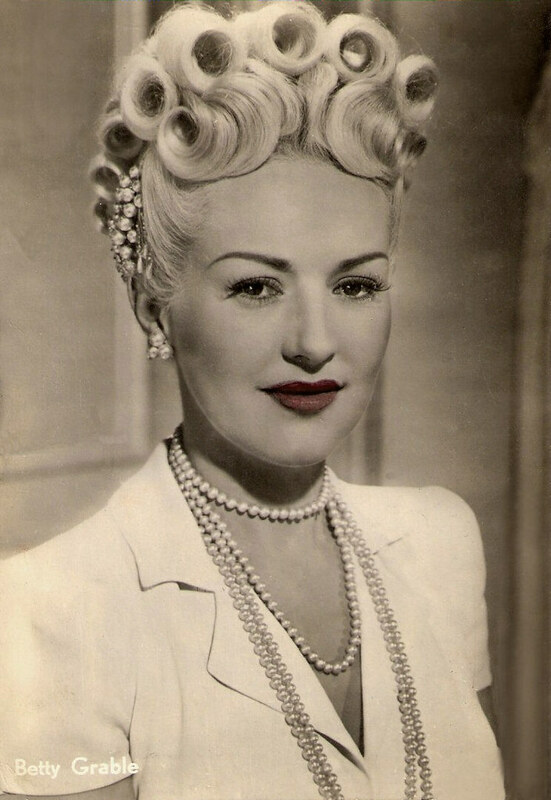 Betty Grable died at age 56 of lung cancer on July 2, 1973 in Santa Monica, California. Denny Jackson at IMDb: "Her life was an active one, devoid of the scandals that plagued many stars in one way or another. In reality, she cared for her family and the family life more than stardom. In that way, she was a true star."